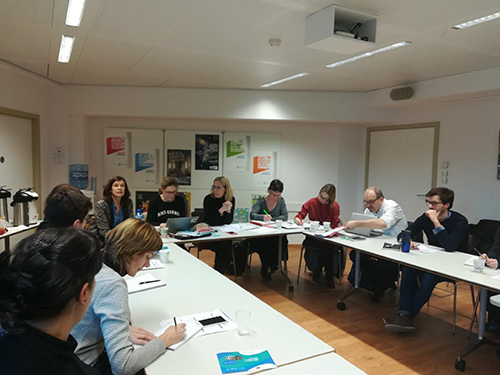 The CPMR’s Atlantic Arc Commission (AAC) held its hub meetings for the second year running on 6-7 February, where Atlantic regions and representatives from the EU institutions discussed plans for the post 2020 period. The six working groups and two task forces of the AAC discussed Accessibility/Attractiveness, Maritime issues, the future of the Atlantic Strategy and Brexit. The meetings gave regions the opportunity to meet representatives from the EU institutions, to follow up on the work carried out since the hub meetings in June 2017, and to discuss the future actions before the next AAC’s general Assembly in June 2018. 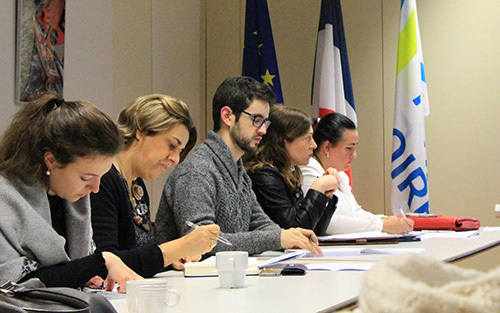 On 6 February, the Transport Working Group, led by Cantabria, discussed follow-up on its amendments to the Connecting Europe Facility (CEF) regulation with the European Commission’s Directorate-General for Mobility and Transport (DG MOVE). They also carried out preparations for the next AAC General Assembly, which will have a particular focus on transport in the Atlantic. During the Atlantic Tourism and Culture Working Group, the Commission’s Directorate-General for Internal Market, Industry, Entrepreneurship and SMEs (DG GROW) listed the different financial opportunities available for regions in tourism for the 2014-2020 programming period. DG GROW also called on regions to provide input into the Pan-European Dialogue between cruise operators, ports and coastal tourism stakeholders. On 7 February, the Marine Renewable Energy (MRE) Working Group welcomed the Commission’s Directorate-Generals for Energy (DG ENER), Research and Innovation (DG RTD), and Maritime Affairs and Fisheries (DG MARE) to discuss post-2020 EU support for Marine Renewables and the Governance Directive of the Clean Energy Package. Debates showed Atlantic regions’ commitment to the development of the MRE sector, showing they are important partners for Member States and the EU regarding their contribution to the ambitious national plans on Energy. The Innovation Working group offered the chance to discuss future actions on Maritime Training. The maritime training projects developed by regions and the AAC’s secretariat, such as the BBMBC project, are crucial to the development of expertise and the EU New Skills Agenda. The Fisheries Working Group gave regions the opportunity to hear the European Commission’s position on financial opportunities for the Aquaculture sector, in which Atlantic regions are very active and have developed valuable products. The SAFER project, which involves the CPMR, is involved was one of the excellent examples showcased. During the Working Group, Atlantic Regions also presented their views on the CPMR’s upcoming political position on the post-2020 EMMF, to be agreed at the CPMR’s Political Bureau on 8 March and debated with a larger audience during the AAC’s European Maritime Days workshop. At the Atlantic Strategy Group, DG MARE shared the preliminary results of the mid-term review of the Atlantic Strategy Action Plan. DG MARE welcomed the Atlantic Arc Commission’s proposals to organise a regional roadshow later this year bringing together relevant Atlantic stakeholders to improve the current Atlantic Action Plan. Atlantic regions agreed to meet again in the coming month to discuss Atlantic messages on the future of ETC programs. Finally, a session on Brexit outlined the last political developments and next steps for the AAC. The President of the AAC, Christelle Morançais, met with the European Commission’s chief Brexit negotiator, Michel Barnier, on 29 January to express Atlantic regions’ worries on the impacts of Brexit for their fisheries, tourism and transport sectors as well as concrete proposals to mitigate them. The group will continue gathering impact assessments, such as that provided by the association of Economic and Social Committees of the French Atlantic Coast, which helps the AAC to have inputs in the negotiation process and the debate on the upcoming MFF. As well as the SAFER and BBMBC projects, the Atlantic Arc is part of two other projects: CleanAtlantic on marine litter in the Atlantic ocean; and SIMNORAT on maritime spatial planning in the OSPAR IV zone.